Two-time Olympic gold medallist Ed Moses says he was told to “shut up” at a World Anti-Doping Agency meeting. Beckie Scott, Wada’s Athlete Committee chair, told the BBC some officials tried to “bully” her over her opposition to Russian reinstatement. Moses, who is chair of the US Anti-Doping Agency (Usada), backed calls for an investigation into Scott’s claims. “Unfortunately, Scott is not alone in being attacked for wanting to clean things up,” said Moses. In an article syndicated in various Australian newspapers including the Sydney Morning Herald, the 63-year-old said he was “told bluntly by various individuals not to speak” at the meeting, adding that he was “told to shut up”. In a statement to BBC Sport, Wada said: “Wada’s Foundation Board meetings are open to the media and members of the public. “Neither Mr Moses nor anyone else was told to ‘shut up’ at the board meeting in May – had that happened, it would have been reported by media in the room. Wada reinstated Russia’s anti-doping agency in September after a three-year suspension which followed a major scandal over alleged state-sponsored doping. The move was criticised by many athletes and national anti-doping agencies, with Canadian former Olympic cross-country skiing champion Scott resigning from a Wada panel last month in protest. She said she she was “treated with disrespect” at a recent meeting and faced “inappropriate” comments and gestures from some members of Wada’s executive committee. Wada has said Scott’s concerns “were being taken seriously”. “The leadership of Wada are independent and have shown time and time again that they make decisions exclusively in the best interests of the organisation and fight against doping,” it said. On Monday, the boss of Australia’s anti-doping body (Asada), David Sharpe, said Scott’s allegations should be independently investigated. 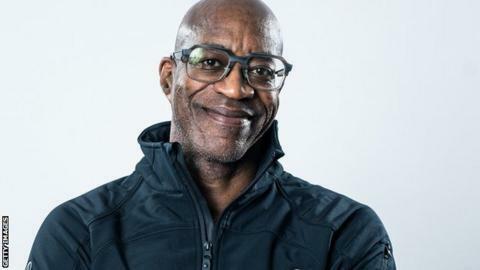 Moses, who won 400m hurdles gold at the 1976 and 1984 Olympics, described Sharpe and Scott as “key allies in the relentless and increasingly challenging fight against doping in sport”. “It’s 2018 – bullying has no place at the board table of sports governance,” he added. “This inappropriate behaviour is long-standing and wholly unacceptable. Moses, who was unbeaten in 122 consecutive 400m hurdles races from 1977 to 1987, said being told to “shut up” would be “offensive if it weren’t so puzzling”. Moses also claimed Wada and the International Olympic Committee had “become virtually joined at the hip” resulting in “wafer thin” confidence in both organisations from athletes and the public.